Ergonomic design. It doesn't overturn. High quality, ergonomic and stylish. Italian handmade product. Easy to transport with the travel bag. Cantoni make up chair, captivating and modern design, ergonomic sitting. 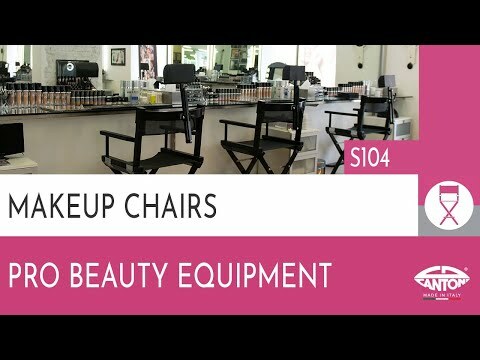 Easy make up chair, foldable and portable, but more suitable to be used fixed. Strong, comfortable and nice. It is not so lightweight (8.5 kg) and it is perfect for make up artists who don't need it to travel.